You are dead, You're surrounded by blackness hearing nothing until a voice suddenly pierces the silence. "We've been expecting you. Let's make a deal." The last thing you remember was dying. You wake up sensing you aren't alone. "Right on time," the voice pauses and the silence stretches on for an uncomfortable moment. "You died, remember?" They laugh. "I see some potential in you, would you like to work for me? Another chance at life?" As they await your answer, you begin to shake as your mind is flooded simultaneously with worry and relief. For whatever reason, you look past the lack of details and agree. A cold hand grabs your shoulder and now you're at the exact spot where you died, however, no one has any memory of your momentary death. You quickly examine your body, everything's there and you feel fine, actually, you feel better than you ever have. That's when you see it, a luminescent cuff and attached chain around your wrist, you follow it to the hand of the other person. Your horror isn't over yet, the lethal scythe slung over their shoulder like an ordinary accessory leaves you speechless. It turns out you have made a deal with a Reaper. They fill you in on all of the chilling details, including the part about being bound to them forever...or until you decide it's time to die again. 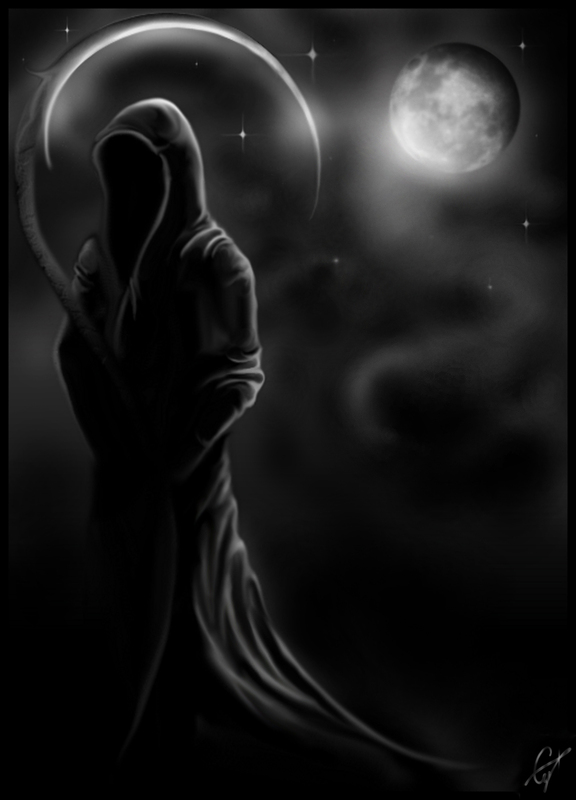 Reapers special duty is to safely guide the dead on to the afterlife. They also have another job, protecting the dead from evil spirits trying to devour them for power. You'll be doing this for an eternity, there are benefits and drawbacks to that. Unless you're severely injured by an evil spirit, you will never die. You appear to be human and you can return to your family, or wherever you found happiness. However, you will have to see your friends and loved ones mature and die while you stay the same. Also, your very soul is bound to the Reaper you made a contract with, should you ever try to leave them, they have the power to kill you. If you ever grow tired of chasing spirits, betraying the Reaper is a good way to end the contract and move on to the afterlife. This is your new life, as a Reaper-in-training. You are assigned to a certain squad codenamed "Se7en Sins" which is made up of 7 reapers-in training led by a Head Reaper. You can carry about your daily routine, but at any moment, you may have to send a soul on or fight with a spirit trying to kill you. Enjoy it. However, the Pantheon (a group of 5 gods and goddesses) plan to stop you at a moments notice with the purpose of creating a perfect utopia and to oversee death in their own way. Will you stop the Pantheon and keep the world in balance? -Immortality: A reaper cannot be killed by normal means like humans. They can only be killed by evil spirits, or another Reaper. -Ghost Steps: In order to do their jobs without being noticed by humans, Reapers have the ability to step into another spirit world on earth. Everything looks the same, but instead of humans walking around, it's wandering souls and evil spirits. This is where they find both to send them on. Apprentices have to be careful, their power can be sensed by spirits and staying too long would mean getting swarmed by the enemy. -Individual Power: all Reapers have two specialized abilities, one is something physical and the other is a mental/magical one. -Grave Dance: His is a final move all Reapers do to send spirits on. The act depends on the individual, it could be anything, a phrase or something more intricate. Apprentices get to make up their own after serving long enough. -Homeward Bound: this is just a quick slice in thin air, or any other place, to open a portal back up to the Reaper world, where actualized Reapers call home. A Reaper has a small amount of power to help protect itself and souls. 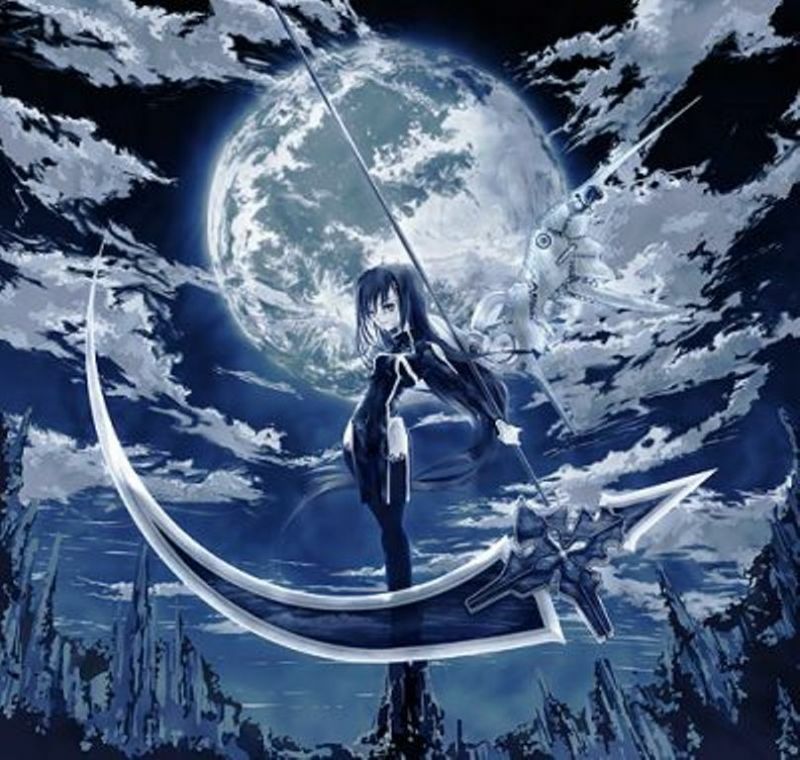 The main weapon is it's Scythe which is usually, (When the reaper is in their human form, see next section) in the form of a necklace or other garment. A Reaper also has the power to cause seemingly impossible things to happen. Some have caused things from pianos falling on people to trucks exploding. A reaper must use this power with caution and kill only those who are on their list. And Finally a Reaper has the innate ability to heal most wounds, excluding mortal wounds on a person who is Listed. Your familiar is your guide. It is a spirit that teaches a human how to do the work of a Reaper. They take the forms of an animal and can telepathically communicate with their Reaper. There is no character limit but the ones listed above are the main roles, if you want to participate, you're free to do so.
.(MUY Importante) Please post regularly (1-2 days of posting), If you don't post for 3 days since your recent post then I have no choice but to remove your character, I'm tired of the people posting once or twice and then completely disappearing from the roleplay altogether. She has beautiful green eyes and pale skin, but she normally has her hood up. No one can ever tell she's a female under her cloak, so many are surprised when she takes down her hood. She stands about 5'9'' and is extremely curvy and strikingly beautiful. She carries herself with confidence. Age: : Has two different appearances: One is a young six year old girl, and one as a young, twenty year old female. She is really around 100 years old. Individual Power: She can cause hallucinations. Personality: Pagan is a live wire. Stubborn, and she keeps to herself. She rarely smiles fully, it's normally just a smirk, or the smile never truly reaches her eyes. She often tends to have flashbacks of her human life and this can cause her to go into rage. She will never let anyone know that she's hurt and still holds grudges against her parents. She can become extremely irrational and flighty when in a rage. She does her work with ease and without complaint. Familiar: A big, dark black Shadow Wolf named Talia. She has electric blue eyes and a silver stripe down her back, and silver paws, and the rest of her is a pitch black. Appearance and Description of Familiar: Talia is much like Pagan, in a sense they are both stubborn. Yet, Talia is the voice of reason though when Pagan is being irrational. Talia is very down to earth and relaxed about most everything. Scythe Appearance: She loves her scythe more than anything, if you touch it, you are as good as dead. She made her scythe herself, giving it a certain flare of beauty and grace. Of course, she does have a strike against her, for when she was in training she visited her father, haunting him until he went mad. She didn't kill him, but she made sure he never left his house or ate anything ever again so he would die a slow, painful death. I'd like to join as a reaper in training. It's an interesting idea and I've been itching for a good role play lately. I'll be posting my bio late tonight (as soon as I get back from rehearsal). Appearance: Danny has hair that has a mind of it's own. Though he does try and influence it every now and then, it doesn't always seems to work. He has light green eyes and fairly good vision (minus the pair of reading glasses he owns). He has an athletic body and is slim but is stronger than he looks. He has two earrings. One of his right ear (upper lobe) and an industrial on his left. Nickname: Danny, Dan, Karthy, etc. Age: 121 (appearing as if 21). Personality: Fairly quite and keeps to himself, though he can tend to get loud (never really fearing to express his opinion when needed). He can be a tad arrogant, and he relies on himself more than others. What was life like before you died? : Danny could be considered popular by his peers if he really took the effort to be more social. Despite being a part of the social crowd, interacting with others was not in his top choice. He always depended on himself in school with work, having trust issues. Not because he had a bad home or up bringing (bother were fairly good); just something that he had developed over the years. Of course, it would occasionally bad fire, and he would blame himself. How did you die? : Danny grew up at the turn of the century. His family owned farmland in Canada. The winters were cold, and the summers were long, but he had to help support his family. It was part of the job, being in a farming family. On his way into the city however, a gang on rouge bandits ambushed him for food or money. They left him in the wilderness to survive on his own. Unfortunately for Danny, he wasn't as lucky and died from starvation, trauma, and loss of blood. Once becoming a reaper (now almost completing his training), Danny wondering through the ages, going to school, learning new things, discovering different places and cultures. He has become more open as a person, but still rather reserved and dependent on himself. Reaper Uniform: Danny keeps his casual clothing as a reaper, not really feeling the need to change. He is who he is as a reaper. A cloak isn't going to change that. Individual Power: Danny has the ability to control water through his bodies movement. He also has the ability to read minds (though only through physical contact). Familiar: Danny has a hawk as a familiar. It normally rests on his shoulder, and always responds when called. His name is Nodin (meaning the wind). Appearance and Description of Familiar: Nodin appears as any other hawk. He doesn't speak with a human tongue, but Danny and Nodin share a bond that lets them communicate through thought, no matter the distance. Nodin is the only other things Danny trusts fully, and they are often close to each other (being good friends). Additional Info: Danny's scythe, like most reapers, takes the form of jewellery. While not in use, his scythe shifts into his industrial piercing (on his left ear) and stays there for safe keeping. When needed, the scythe simply slides itself out and grows into it's full form. 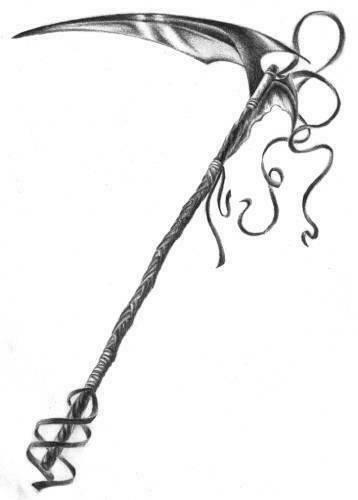 Once a traditional scythe, Danny has made some modifications to his. Making it longer and more balanced helped Danny to master it much faster. The eyes resting near the top act as a detection device. They discover most spirits or entities at Danny's will. Would anyone else like to join? This sounds like a wicked fun role play! Location : New York,, England and Israel. It changes. Ill join as a reaper in training if you guys want me too. I'll just create the Bio and post it. I'm very seriously thinking about joining as a Reaper. I'll write up a bio soon. It'll be starting from the ground up so it may take me a little while. Crap.. I'm still working on my bio haha. Appearance: She was born with light blonde hair, and light brown eyes. After the change, her cheekbones became more defined and angled, her light blonde hair changed into a dark black, her eyes slightly slanted with the most exotic, striking and unusual bluish greenish colour that not even the angels have seen before. She is 5"11. Her legs are long and slim, her stomach flat and toned and her skin, a natural tan as if it was kissed by the sun. Yes, she is curvy in the right places. Angels are suppose to be perfect after all. Her hair is long, reaching her waist in layers, but it is tied at the back with a silver ribbon. Her bangs cover her right eye, and some of the top layers fell out from the two of the ribbon and frame her face. When she first looked at herself she couldn't recognise herself. Personality: She is wry reserved. She doesn't talk aout her past to anyone. Everyone knows that with her, the past is a taboo subject. She always knew she was different. From people, from the world itself. She is not proud of the choices she made. She is very self conscious of her appearance because of the changed that she wench through,and she will avoid mirrors at all times. Mostly she feels pain as memories of her past play with her mind from time to time. She feels no regret, no remove towards anyone. When she kills, she smiles and doesn't even flinch or blink an eye. She is statistic and she loves to play with her victims. Make them squirm and beg for their petty little lives. Her favourite part of the kill is the chase. On the other hand she is sarcastic and feisty. She loves joking around. What was life like before you died? She was born in 133 BC in Venice, Rome . Her family lived on a beautiful orchard with hundreds of arches of land. Her parents weren't exactly poor, and bathed her in gold as a child and as she grew up she felt that she had no reason to make a living. She already was.when she was twelve years old, she realised tht her father wasnt going to be a big part of a her lif, as he was always away on business. Her father left her to take care of the orchard, the house chores, horses and her mother, that was slowly becoming depressed with the ascense with her father. On her free time, she practiced the craft of fencing. When she was fourteen, her father finally returned to stay at home for good. Her father was impressed with her skilled and he thought her the way of a warrior, and made her spare with him with a sword, and en later on sent her off to arenas disguised as a boy, where she created strategies against older men, and boys around her age. She was on top of the world, especially when her arrange married settled with a guy, named Alexandru. What she didn't know, was that her father was insane. 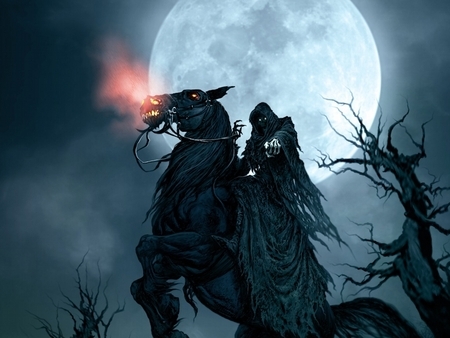 At night he would ride off ones horse, wearing a dark cloak and he killed and killed.. And killed. On the day that her father murdered her husband, Alexandru, right before her eyes, her mother finally confessed that she found bloody knifes and swords in the bushes outside the kitchen, that he hid, waiting for the right time to wash them when they are not there. When she turned 18, she kept going to the arenas. She started to lived and breathe fights. She couldn't get over the death of the man she fell in love with. One afternoon, she was walking down the orchards when she saw a big, untamed stallion, that galloped across their land with such freedom and carelessness. the black beast, a cold, dangerous black that could easily be blended in with the night, shot electricity throughout her body whenever she touched it. One night, she mounted the black, powerful beast and rode off into the night. She tried to turn back home but the stallion galloped on, until coming to a stop infrot of a hooded man. A demon. The fallen angel said that he was to give her a gift from the gods. When she returned home, she found her mother dead infrot of a man with flawless features and a golden mane. An angel. The angel said that she has a great gift, a hidden power within her, and that she had a choice. How did you die? She didn't need to die, but she should become an angel by force. And that exactly what she did. The change was excruciating, her bones changing to create the perfect and flawless appearance no one has ever seen before. A pair of winger growing within her, sprouting from her back. But something was very wrong. Her change wasn't what the angels expected. She was also a lot stronger than most angels, and she didn't like all the rules that the angels followed. One day she was assigned to guard a human from her home town. One night on earth, as she was following the human she crossed paths with the same demon she met many years ago. He told her she was death himself. The demon handed her a black, powerful sword. She could feel revenge taking control of her body as she rode off in the search of her father. When she finally found him, she felt nothing inside as she decapitated him. Once that was done, she fell to the ground, her whole body jerking and shaking from the immense pain of yet another change. Her teeth sharpened into fangs. She felt heat radiate from her between her shoulder blades up her left shoulder to her collar one, where a tribal tattoo was delicately drawn by an invisible force. She was put on trail by the angels, and eventually thrown out of heaven. Reaper Uniform: (optional) When she takes the cloak off, it can move around on it's own even though it is attached to her and can take Skyann's body shape. The cloak she has isn't as ripped as this one but it looked the same. Also, she wears black leather gloves, and the hood always covers her face, giving the illusion of a lack hole to those to try to reveal her face with their eyes. Skyann's Familiar looks exactly like that. Indecidual powers (only 2): She can control people's memories and dreams, using people's worst fears against them while they sleep. She can control the weather with certain movements of her body. Familiar: A black stallion that was her guide even before she was dead. One night, she found him, wondering around in a field not so far from her house. From the moment she laid eyes on the beast it was clear that that horse was not from this earth. She named him Cruentas, blood thirsty. Appearance and Description of Familiar: a stallion black as night iself. His eyes red as the fiery pits of hell, his whole being ached to gallop across the land, and rip the earth open with his powerful hooves. Located on the beast's left shoulder, was a sign of the devil. The beast answers whenever he is called by Skyann. He does not speak, but Skyann speak to him in Latin and he understands every word. His way of communication is through his eyes and body movements. Additional Info: (optional) Skyann's scythe is in a form of a jewellery. It is a silver ring bracelet piece that she wears on her right hand. 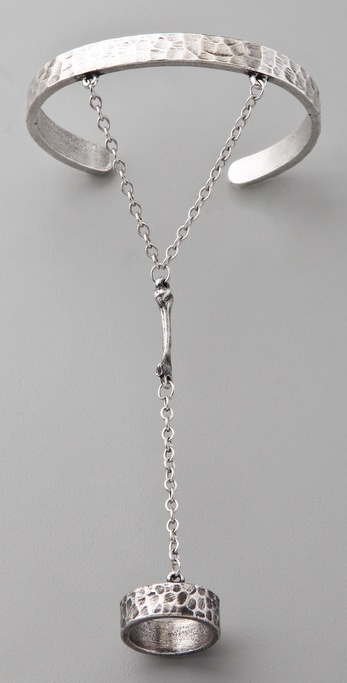 When the scythe appears, a chain is released from the bracelet that is connected to the scythe. This makes it easier for her to perform certain moves without having to command the scythe. Her scythe is also much bigger than most scythes but despite it's size, it weighs like a feather when she holds it. 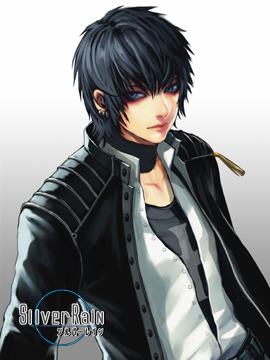 Appearance: His hair is the deepest color of black and his eyes a very deep blue, making for quite a striking clash of colors. His eyes stand out for that reason. The very best way to describe him is that he is the kind of guy that makes people look twice. Some would describe him as being too handsome to be natural. His body is perfectly proportioned and built from centuries of fighting as a Reaper. Standing at about 6'5" he is also an imposing figure when stood in front of. Nickname: Being a Head Reaper he is known by all Reapers. There are a few he gives the privilege of calling him 'Gauge'. Personality: Alric is quite a kind person despite his reputation as being careless and arrogant. More often than not he'll act very calm and composed giving people the idea that he's a push-over. His personality can very quickly change to the true evil behind his position as Head Reaper, however that is only if you happen to get on his bad side. He feels a lot more at ease around his fellow Reapers than around humans. He is not one to be messed with. How did you die? : Alric Gauge is from Middle Age England, around the year of 1470 to be exact. He was the son of a very rich and powerful noble who made a living off heavily taxing those who lived in his province. This made him a very disliked man among the peasants. For that reason while Alric was on his way home from one of the local taverns he was jumped by a group of said angry peasants. They thought that the best way to get back at their noble tormentor was to kill his son, the person who would eventually inherit their land. Though he tried his best to fight back, he was brutally murdered by them. It was then that he made his deal and he began his training. The voices took a particular liking to him because they could sense the reckless spirit yet hidden power within the little human. Upon his return from being 'dead' he sought out the men that had supposedly killed him, he was surprised to find that they had no recollection of ever having left their houses the previous night. It was like nothing had happened. He was confused but he assumed it had something to do with that creature he had made a deal with. Although they did not remember having done him any harm, he took great pleasure in being the one to draw the life out of them when it was their time to go. After only a few decades of being a full-blown Reaper, he was approached by the same voices that had spoken to him when he first died. Being pleased with his unquestioning service and his strength in combat, they offered him even more power and the position of Head Reaper. At first he refused however he took up the offer knowing that he would be able to pass on his knowledge and skills to the new Reapers-in-training. 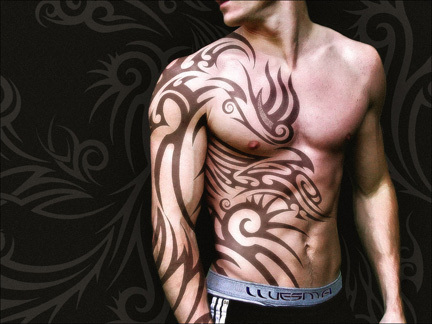 His body was marked with a black design much like a tattoo, however it emanates a black aura whenever he uses any of his powers. 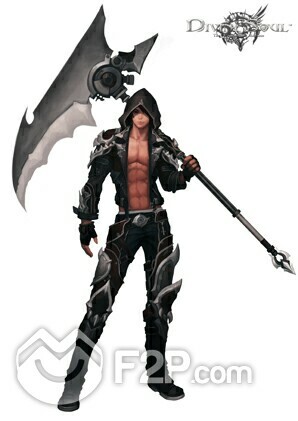 Reaper Uniform: His reaper uniform matches his fighting style; careless to an extent. He does not wear a long cloak like most of the others, feeling that it would hinder his movement far too much. Scythe Appearance: (As seen in the picture of his Reaper Uniform) His scythe is a lot larger than most other scythes used by his fellow Reapers. During one particularly intense battle against a powerful spirit, his scythe broke and since then he designed his own to prevent that from happening again. Its large size means that it carries a huge amount of cutting power and although it is heavy, he can wield it relative ease and agility. Individual Power: His physical power is an incredible amount of strength; enough to wield his scythe, a weapon most wouldn't be able to lift much less carry, with the grace of a regular type scythe. His magical power is the power to control and manipulate sound waves. A power that specializes in both defense and offense. Grave Dance: It will be revealed at a later time. Familiar: Alric's Familiar is a snake creature that goes by the name of Azapiel. Being a spirit, she can change her size depending on the situation. Anywhere from as small and thin as a pencil to as large and thick as a basilisk. 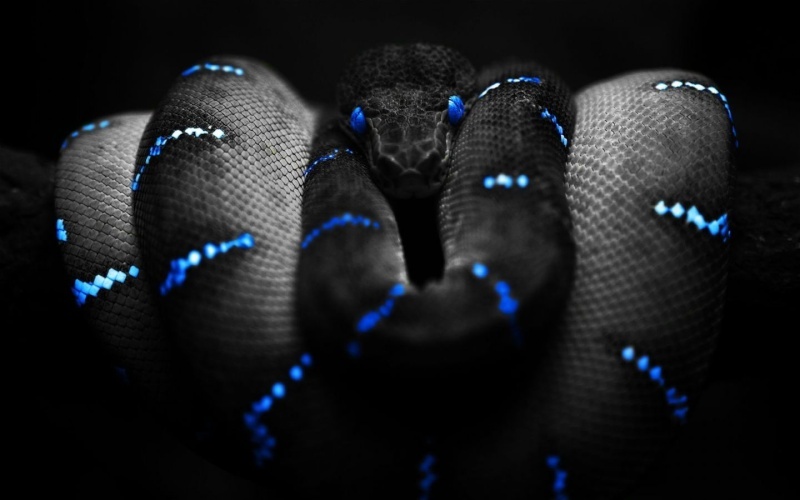 Her scales are a deep black color only interrupted by blue stripes along her back. Appearance and Description of Familiar: Appearance will be linked below. Azapiel is a very calm and wise creature, being older than Alric. She will very rarely become hostile or angry unless she is provoked. Alric and her have a very tight bond. More often than not she'll wrap herself around his wrist like a bracelet, unnoticed by humans. Additional Info: Being both old and from an older time period, Alric speaks with a very eloquent British accent. At times his mannerisms are very clearly not from this time period. To the human eye he is just a regular man however in both the spirit world and to other Reapers, he constantly gives off a black aura. Dream, would you like to be Head Reaper? Head Reaper? That's quite a promotion. I'd need to edit a few things on my bio, but yes, I can do that. I agree, I look forward to seeing where this will go. Thank you for posting it Mercy. The Afterlife is the home of the soul awaiting entry or judgement to enter heaven or hell. It was hot to the sinners but warm to the people who gave back to their community. The Afterlife is filled with columns of pumice but with veins of napalm-colored lava. Also, it was filled with sharp and jagged stalactites and stalagmites. A soul sits in front of four cloaked figures, begging for forgiveness. Pagan's eyes flicker up, and before the Head Reaper asked for the verdict she spit out the word, "Hell." Her verdict was clear as she takes off her hood and she looks upon the fiery depths, the flames glint off her blank stare. She stared at the spirit, trembling and begging for forgiveness. His eyes looked towards Pagan for a moment. "Please..." He begs, his bright blue eyes glittered with tears and her eyes narrow. "Beggars are never choosers, love." She says harshly, her voice is low as the words slide through her teeth. She remembered her death like it was yesterday. She sat in the same spot, doubled over, blood splatter painted her hair, clothes and skin as she spat at the Head Reaper's feet. She could almost reach out and touch the memory, her six year old self thrashing against the pain. With a shake of her head she turns away. Danny sits at a bus stop across from a coffee shop. A number of people sit outside reading, laughing, or people watching. Umbrellas protect the patio inhabitants from the strong rays of the sun. A bus stops for Danny, but he stares at the same spot as before, transfixed on one figure. As the bus pulls away and Danny smiles, seeing her. Kathrine, or Katie for short. She sits at her table with one of her girlfriends, giggling about various topics. The context of the story isn't what Danny was interested in, never mind the fact that he couldn't hear it. "Beautiful girl, isn't she?" Nodin asked. Danny chuckled to himself. "What can I say? It's all in the genetics." Katie was one of Danny's great-great nieces. Seeing as how he never got to have children of his own, he enjoys spending his spare time watching the lineage of his sister continue. He's been doing this for a few generations. The last kid he saw was Johnnathan (who is currently back-packing through Europe. It made him happy to know that his family was able to continue without him. "Time to go," Nodin said as he landed on Danny's shoulder. "Just a few more minutes?" Danny asked at loud as he pet his familiar. With no response, Danny stood, ready to continue his own existence. It was time for another judgment. As usual there were four Reapers in total stood before the poor soul; three regular Reapers and Alric, the Head Reaper who had been selected to attend the judgment. At first there was silence as the trembling soul brought forth his plea for them to consider. Trying to win his way into being sent to heaven. The outlook was grim for him though. Pagan White was one of the Reapers there. She spoke her verdict without waiting for the others to give their input, even Alric. There was a pause as the soul begged her once more but she harshly cut his pleas with her words. There was no hope for him. She had given her judgment and she was sticking by it. Alric glanced around at the others and found that they just silently nodded their heads. So long as they agreed, there was going to be no saving this soul. He raised his hand and gave the soul a dismissive wave. The Head Reaper did not wait to watch as the soul was dragged down into the fiery depths of hell where eternal damnation awaited it. He had seen the process a million times over the span of his lifetime as a Reaper. Instead he turned and moved to speak to Pagan. There was no denying that she was a very effective Reaper. Quiet and unquestioning. However what she had just done worried him slightly. "You know, you should have given the others a chance to speak." he said in a calm voice as he quietly moved alongside her. Slipping his hands into the pockets of his armored pants, looking across at her for a few moments before he shifted his gaze away. "You know, you should have given the others a chance to speak." Alric came up next to Pagan and Pagan's eyes slowly turn towards Alric, her lip pulls away from her teeth in a slight snarl. "They had their chances. People are too soft." Her words spit like fire as she stares into his eyes, her stare cold, grim, emotionless. Pagan wasn't one for emotions, she wasn't one for mercy either. Harsh, bitter, and a nasty bite. Alric knew her better though, he had taken her in as a reaper instead of sending her to the depths of hell. He had seen what she had truly been through on her short lived time on earth. She turns away from him, "He got what he deserved." Arms cross over her chest, her hair flows in her face a bit as she gazes upon the fiery landscape, the reflection of flames glisten in her eyes. He listened quietly to her reply to his words. He knew her better than any other Reaper as he had been the one who had taken her in all those years ago. She was no fool and she knew the way things worked by now. He had long ago become used to the way she spoke harshly and without emotion. "Regardless of whether the others are too soft.. they're learning Pagan. Much like you did." he said with a small sigh. He took a moment to think over the background of the soul that she had just sent to hell with her verdict. She was right. The soul had been that of an abusive husband and an alcoholic, a man who had given up his life to drink from the bottle. "You are right though. He got what he deserved." Alric finally agreed with her as his eyes scanned the slowly dancing flames. He knew better than to continue with the same conversation. What was done was done. There was no point in dwelling on it. Instead he turned his attention to another issue that had been on his mind. "What of the newbies? Have you considered my offer of being one of the trainers?" he asked her while looking across at her again. She was one of the experienced Reapers. With the experience she had she was a very viable teacher.